Welcome to L.A. County’s Core Practice Model (CPM) website. This site is a resource to provide county professionals with tools, guidance and support as they implement the CPM – a deeper way to work with families to improve safety and outcomes for children. 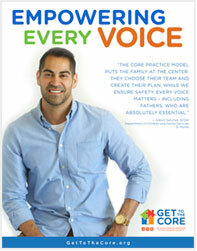 DCFS and DMH professionals share their perspectives in the CPM poster series. Watch social workers, therapists and others share their CPM tips and experiences. See firsthand how the CPM made a difference for one family in our new testimonial video. TIP: Need some help starting the conversation? Take a look at these suggested questions. 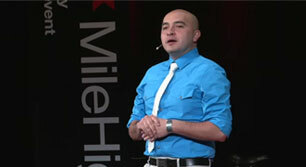 Bobby Lefebre, a social worker and award-winning spoken word artist. We invite you to ask questions about the CPM on our CPM Forum page.